A voracious music lover, Paul wanted to see as many local bands and artists as possible – and SoIN has no shortage of quality musical acts. Coincidentally, another friend of mine was playing an acoustic set at Flat12 Bierwerks that evening. 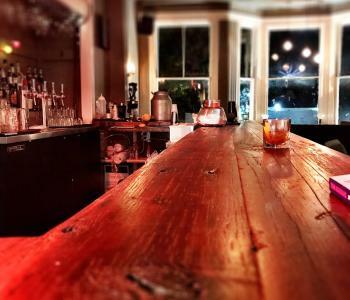 We spent hours sampling brews while listening to waves of earthy tones bouncing about the interior of the bar. 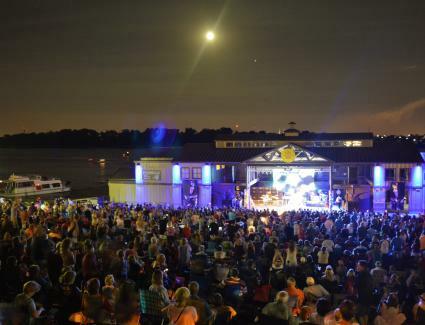 The following day, we made our way to Jeffersonville’s RiverStage. That night the Louisville Crashers were kicking off the Summer Concert Series. They played a rousing and, at times, raucous set consisting of every conceivable genre of music popular in the last 50 years! It was a hot night, cooled by the breeze coming off the Ohio River and the vibe created by the crowd of our 10,000 SoIN neighbors. After the concert, Paul and I made our way up Spring Street to the Vinyl Lounge. This was one of the highlights of his stay, he said. 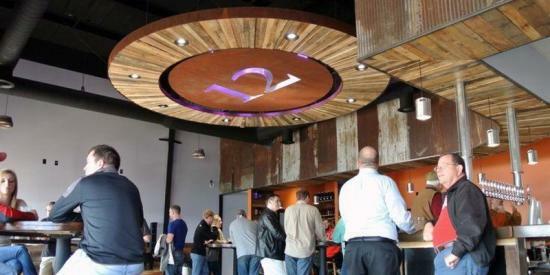 The Vinyl Lounge is a bar above O’Shea’s Pub in downtown Jeffersonville. 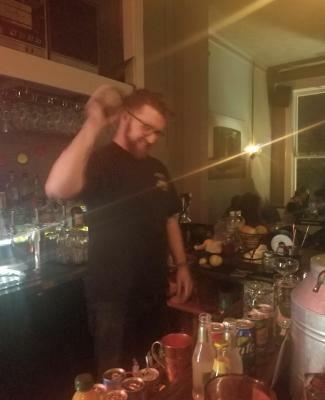 It specializes in cocktails and in an expansive vinyl record collection. Paul selected his all-time favorite album: Prince’s “Purple Rain.” We sat on a re-purposed church pew, watching the passersby, listening to Purple One wail well into the night. Paul had not been to SoIN in seven years. He came back for his friends, but he wanted to stay for the brews, the music, and the people of Southern Indiana. 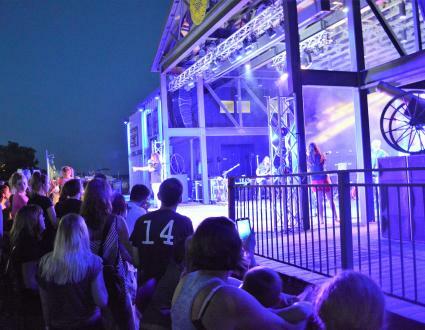 Want to learn more about Jeffersonville RiverStage? search for RiverStage events? Find other breweries in SoIN, too! Mikael is a Travel Counselor at the SoIN Visitor Center. He plays bass in a local band. A student at Indiana University Southeast, is studying music production and has been producing music since age 16.